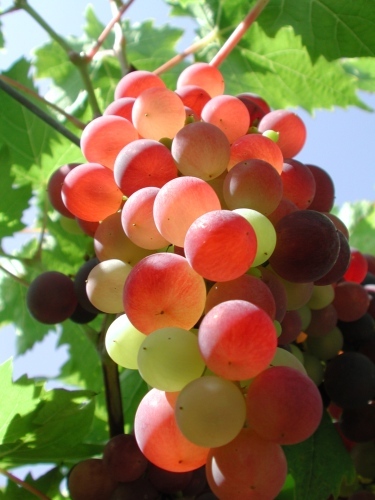 Subsurface scattering is an important effect for realistic rendering of translucent materials such as skin, flesh, fat, fruits, milk, marble, and many others. Subsurface scattering is responsible for effects like color bleeding inside materials, or the diffusion of light across shadow boundaries. The photograph below shows an example of translucent objects. This application note describes how to simulate various aspects of subsurface scattering using Pixar's RenderMan (PRMan). The images below illustrate a simple example of subsurface scattering rendered with PRMan. 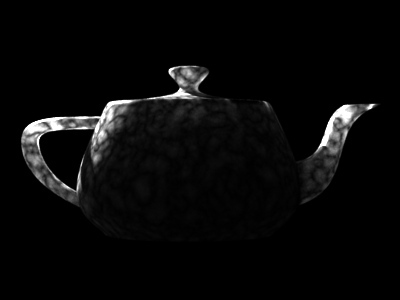 The scene consists of a teapot made of a uniform, diffuse material. The teapot is illuminated by two spherical area lights (casting ray-traced shadows), one very bright light behind the teapot and another light to the upper left of the teapot. 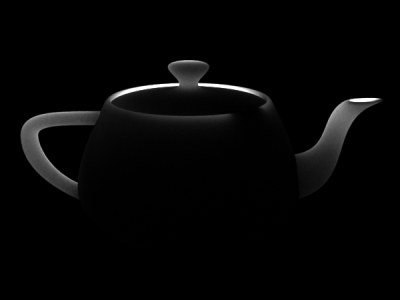 There is no subsurface scattering in the first image, so the parts of the teapot that are not directly illuminated are completely black. In the second image, the material of the teapot has subsurface scattering with a relatively short mean path length, so the light can penetrate thin parts, such as the handle, knob, and spout, but very little light makes it through the teapot body. 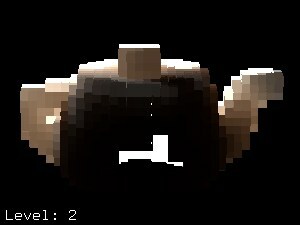 In the third image, the mean path length is longer, so more light can penetrate the material and even the teapot body is brighter. In Section 2, we describe an efficient two-pass method to compute multiple scattering in a participating medium. In Section 7, we briefly discuss how to compute single scattering. In Section 8, we describe how to compute light transmission (without scattering) through a medium. Depending on the material parameters and the desired effects, one or several of these rendering methods can be chosen. For materials - such as human skin - that have high albedo, multiple scattering is much stronger than single scattering. In such cases, single scattering can be omitted. Multiple scattering is approximated as a diffusion process. This is done in four steps: 1) baking the diffuse surface transmission of direct illumination into a point cloud file; 2) diffusion simulation using the ptfilter program; 3) creating a brick map file; 4) rendering the final image with subsurface scattering. /* Compute the radiance diffusely transmitted through the surface. Kdt is the surface color (could use a texture for e.g. freckles). We bake out the area at each point. The area is needed for the subsurface scattering simulation. NOTE: It is important for the area() function to have "dicing" as its optional second parameter. This ensures that the shader gets the actual micropolygon areas instead of a smoothed version that is usually used for shading. (Alternatively, the shader can be compiled with the -nosd option to get the same (non-smoothed) micropolygon areas from the area() function.) Without this, the areas will be, in general, too large, resulting in subsurface scattering simulation results that are too bright. The optional parameter "interpolate" makes bake3d() write out a point for each micropolygon center instead of one point for each shading point. This ensures that there are no duplicate points along shading grid edges. The point density is determined by the image resolution and the shading rate. If the points are too far apart, the final image will have low frequency artifacts. As a rule of thumb, the shading points should be spaced no more apart than the mean free path length lu (see the following). In this example, the illumination is direct illumination from two point lights. It could just as well be high dynamic range illumination from an environment map or global illumination taking indirect illumination of the teapot into account. The volume diffusion computation is done using a stand-alone program called ptfilter. The diffusion approximation follows the method described in [Jensen01], [Jensen02], and [Hery03], and uses the same efficient algorithm as was used for, e.g., Dobby in Harry Potter and the Chamber of Secrets and Davy Jones and his crew in Pirates of the Caribbean: Dead Man's Chest. The built-in materials are apple, chicken1, chicken2, ketchup, marble, potato, skimmilk, wholemilk, cream, skin1, skin2, and spectralon; the data values are from [Jensen01]. The data values assume that the scene units are mm; if this is not the case, a unitlength parameter can be passed to ptfilter. For example, if the scene units are cm, use -unitlength 0.1. The default material is marble. The accuracy of the subsurface diffusion simulation can be determined by the ptfilter parameter "-maxsolidangle". This parameter determines which groups of points can be clustered together for efficiency. (It corresponds to the 'eps' parameter of [Jensen02], page 579.) This parameter is a time/quality knob: the smaller the value of maxsolidangle, the more precise (but slow) the simulation is. Values that are too large result in low-frequency banding artifacts in the computed scattering values. The default value for maxsolidangle is 1. If you'd like to know which values of albedo, diffuse mean free path length, and index of refraction are being used for the subsurface diffusion simulation, you can add '-progress 1' to the ptfilter command line arguments. 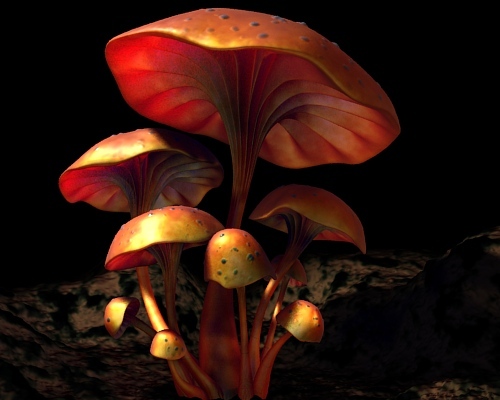 In addition, '-progress 2' will write out some of the computed subsurface scattering values. On a multithreaded computer, the ptfilter computation can be sped up by giving the command line parameter "-threads *n*". The default is 1 thread. If desired, the shader can of course multiply the subsurface color by a texture, etc. The example above had a uniform albedo and a uniform diffuse mean free path length. It is simple to multiply the transmitted radiance by a varying diffuse color prior to baking it. For another effect, we can also specify varying albedos and diffuse mean free paths in the diffusion simulation. This requires that we bake the albedo and diffuse mean free paths in the point cloud file along with the transmitted radiance. Rendering this RIB file produces the point cloud file direct_and_params.ptc. -scattering and -absorption can also be read from a file using the fromfile syntax. These data must be baked into point cloud channels called "_scattering" and "_absorption". It is easy be get confused about where to multiply by the surface albedo: where the light enters the surface, where it leaves the surface (the shading point), or both. Multiply the incident illumination by the surface albedo when baking the point cloud. Use albedo 0.999 at the shading point. Multiply the incident illumination by the square root of the surface albedo when baking. Use the square root of the albedo at the shading point. Bake pure incident illumination into the point cloud -- do not multiply by albedo. Use the albedo at the shading point. All three choices have some advantages and can be defended. It basically boils down to whether you want to emphasize the texture at the incident points or at the shading point. It would be wrong to use the full albedo at both places -- that results in an over-saturated subsurface color. Choice 3) allows the highest frequency content in the subsurface results: if your skin albedo texture has a freckle you get a clear crisp freckle in the sss result, not a blurred-out soft spot. With 1) the textures' influence on the subsurface results get very blurry. We chose the name "diffusely transmitted radiance" ("_radiance_t") thinking mainly of approach number 1). In hindsight, we could have chosen the name "_irradiance" for approach number 3) to make it clear that no albedo should be incorporated into it; that would also be more consistent with the ray-traced subsurface shader workflow. The diffusion approximation described above can not take blocking geometry such as bones into account. But sometimes we would like to fake the effect of less subsurface scattering in e.g. skin regions near a bone. 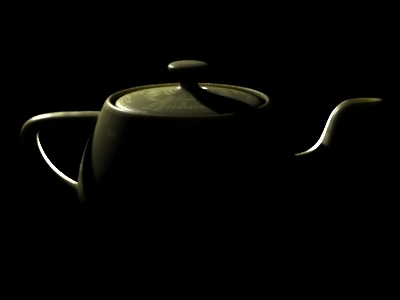 This can be done by baking negative illumination values on the internal object; this negative subsurface scattering will make the desired regions darker. Rendering this RIB file results in a rather uninteresting image and a more interesting point cloud file called blocker_direct.ptc. See [Hery03] for more discussion and examples of blocking geometry. Multiple scattering can be computed more conveniently with the subsurface() function. The baking step is the same as described above. The ptfilter step is faster since ptfilter is only used to organize the point cloud - it does not compute any subsurface scattering at the points. (If the point cloud is small, the ptfilter step can even be omitted entirely.) 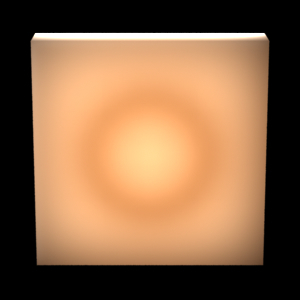 The brick map step is skipped, and the subsurface scattering is computed during rendering with the subsurface() function. In the following, we will go through each step in more detail. (We often use a .optc suffix for organized point clouds.) The contents of the generated file, ssdiffusion.optc, can be inspected with ptviewer -info. It contains points with _area and _radiance_t data and octree nodes with bounding box, centroid, sumarea, and sumpower data. Please note that this step is optional. If point cloud memory use is not an issue (the point cloud contains only a few million points) or if the rendering is only done a few times, it may not be worthwhile. The values for albedo, diffuse mean free path length, and index of refraction default to marble if not specified. The subsurface() parameters "scattering" and "absorption" can be provided as an alternative to "albedo" and "diffusemeanfreepath". When the subsurface() function is given the name of an un-organized point cloud file, it has to read in the entire point cloud and keep it in memory. But if the function is given the name of an organized point cloud file, it reads (blocks of) points and octree nodes on demand, and cache them in memory. This means that very large organized point cloud files can be handled efficiently. More details about point and octree caches is described in Section 6 of the Point-Based Approximate Ambient Occlusion and Color Bleeding application note. These material parameters (except for spectralon) can be used directly with the subsurface() function. Smooth results for subsurface scattering can be computed even if the input point cloud is too sparse relative to the diffuse mean free path. The underlying problem is that when the diffuse mean free path is short, the formulas for subsurface scattering are very sensitive to the distance to the nearest data point, leading to noise and aliasing. Special care must be taken to overcome this limitation. To address this problem, the subsurface() function has a new parameter: "smooth". If you set this parameter to 1, the results will be much smoother. "color dmfp" [0.6961 0.6400 0.1896]   # very short mean free path! ptfilter has a similar new smoothing functionality. It is turned on by specifying -smooth 1 on the command line. In PRMan 15.2 (and later versions) it is possible to reduce subsurface scattering across local concavities such as wrinkles, skin pores, lips, etc. This is done by setting the optional parameter "followtopology" to 1.0. The default is 0.0. Values between 0.0 and 1.0 results in partially reduced scattering across concavities. ptfilter has a similar new functionality; it is turned on by specifying ``-followtopology f (with f being a value between 0.0 and 1.0) on the command line. In release 16.2 we added a ray-traced mode for subsurface scattering. The scattering surface parameters, formulas and results are the same as for point-based subsurface scattering. However, the biggest advantage of the ray-traced approach is that it is single-pass - no need to bake a point cloud in a pre-pass. This makes it particularly suitable for interactive rendering and re-rendering. When computing ray-traced subsurface scattering at a point P, the subsurface() function shoots a bunch of rays (in all directions on the sphere) originating from a point slightly inside the surface. This gives dense hitpoints near P and sparser hitpoints further away. The direct illumination at each hitpoint (on the outside of the object) is computed or retrieved from the radiosity cache and then attenuated by the usual dipole formula (the same formula as for point-based calculations). "samples": the number of rays. The default is 16. "subset": the subset of objects visible to sss rays. The default subset is the entire scene. "maxdist": the maximum distance for ray hits. To use the ray-traced subsurface() function, a shader must be structured using the pipeline methods discussed in the Physically Plausible Shading in RSL application note. Since subsurface scattering is a view-independent part of an object's appearance, we will need to modify the lighting() and diffuselighting() methods. The lighting() method is not required, but if your shader has one, call subsurface() instead of computing diffuse illumination. The diffuselighting() method is required for ray-traced subsurface to operate properly. There is a new (optional) third parameter that must be filled with irradiance. Irradiance is the cosine-weighted sum of all direct lighting plus indirect diffuse lighting. If your shader implements its own light integration scheme, simply assign the proper value to the irradiance. Alternatively, the directlighting() integrator provided by RSL will compute the direct portion of irradiance as a side effect of computing direct lighting, returned in the optional output "irradianceresult". If indirectdiffuse() is employed by the shader, it should be accumulated into the irradiance. // Compute direct diffuse and irradiance. // Compute indirect diffuse and irradiance. Note the assignment of irradiance (without surface scattering) to the new output variable Irradiance. These two short shader examples leave out some optimizations that are important in actual use: reduction of the sample numbers at deeper ray depths, optionally turning off indirect diffuse at subsurface ray hits, and optionally turning off subsurface scattering at diffuse ray hits. 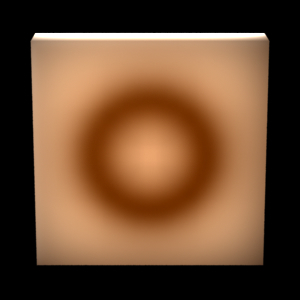 The plausibleSubSurface shader is a more complete shader example with these optimizations. 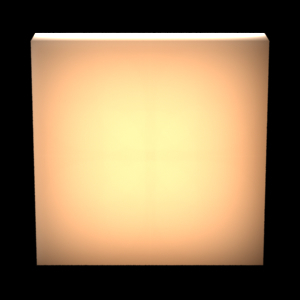 In this shader, the surface albedo is ignored where the illumination enters the surface; it is only taken into account where the subsurface illum leaves the surface (the shading point). An alternative is to use the albedo where the subsurface illum enter the surface but ignore it where it leaves, or use the square root of the albedo both places. It would be wrong to use the full albedo both where the light enters the surface and where it leaves it; this leads to too dark and saturated subsurface scattering results. In release 17.0 we added a way to access the Irradiance output value by fetching it with the gather() "lighting:irradianceoutside" output variable. The value is denoted as outside because the I vector at the hit point is set as if the gather was from the outside for shading purposes. This means it will fetch the outside irradiance, making it suitable for implementing single scattering or creating custom subsurface integrators. The renderer can cache the Irradiance value, providing better performance than fetching the irradiance from an arbitrary shader output parameter. 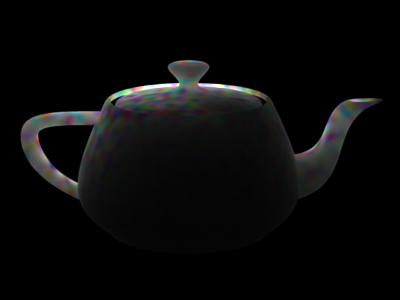 When fetching "lighting:irradianceoutside", the diffuse and specular depths remain the same at hit points. The subsurface depth is increased, which can be accessed via a rayinfo() query of "subsurfacedepth". Currently, we disallow fetching "lighting:irradianceoutside" with output values other than "primitive:P," "primitive:N," and "ray:" queries in the same gather() call. Sending values with the rays is still permitted. Single scattering is not important in materials such as skin. For other materials where it is more important it can be done in a shader using the trace() and transmission() functions. Another effect that occurs in participating media is that some of the light from the surfaces travels straight through the medium without being scattered. Due to absorption, the amount of light that is transported this way falls off exponentially with the distance through the medium. An object of frosted, colored glass is a good example of this type of light transport. The frosted surface of the glass scatters the light diffusely into the object. The internal part of the glass is clear and scatters very little light (but absorbs some of the light due to the coloring). This effect can be computed by shooting rays with the gather() construct. Basically, for each visible shading point, we want to shoot a collection of rays from that point into the object and look up the direct illumination at the surface points those rays hit. So the shader needs to distinguish between whether it is running on a directly visible point or on a subsurface ray hit point. A ray label is used to communicate this information. It is assumed that the surfaces have the correct orientation, i.e. that the normals are pointing out of the objects. We first compute the direct illumination and store it just as in Section 2.1. The brick map can be displayed using the brickviewer program. A shader that renders light transmission with absorption (and direct illumination if so desired) with the help of a brick map of the direct illumination is listed below. The shader utilizes the convention that if the texture3d() call fails to find the requested value, it does not change the value of the rad_t parameter. So in this shader, we can get away with not checking the return code of texture3d(): if it fails, rad_t will remain black. Rendering this image requires 6.3 million subsurface rays, so it is significantly slower than computing the diffusion approximation in Section 2. Q: Which method does ptfilter use to compute subsurface scattering? A: We use the efficient hierarchical diffusion approximation by Jensen and co-authors - see the references below. Q: If I specify the material for the diffusion simulation, how can I get to see the corresponding material parameters that are being used in the simulation? A: Use the -progress 1 or -progress 2 flag for ptfilter. This prints out various information during the simulation calculation. Q: I see banding in the subsurface scattering (diffusion) result produced by ptfilter. How can I get rid of the bands? A: Decrease the maxsolidangle in ptfilter and/or increase the density of baked points (for example by decreasing the shadingrate or increasing the image resolution). Q: The ptfilter diffusion computation is too slow. How can I speed it up? A: Increase the maxsolidangle in ptfilter and/or decrease the number of baked points (for example by increasing shadingrate or decreasing image resolution). And/or run ptfilter multithreaded with -threads n.
Q: The brick map generated by brickmake is huge. How can I make it smaller? A: Use maxerror values of 0.002, 0.004, or 0.01 (or even higher) in brickmake. Q: What exactly is the maxsolidangle parameter of ptfilter's diffusion approximation? A: maxsolidangle is the parameter called epsilon on page 579 of [Jensen02]. Q: Computing subsurface scattering with the subsurface() function seems to take longer than when I use ptfilter. Is that expected? A: The same algorithm is used for the subsurface() function as for ptfilter's ssdiffusion calculation. So given the same input parameters and number of computation points, the computation times will be the same. However, if the value of e.g. "maxsolidangle" differs, the computation times will differ as well. In addition, if there are more shading points running the subsurface() function than there are points in the point cloud that ptfilter is run on, the calculations are done more times in the former case, and the computation time will be longer. Q: The channels in my input point cloud are not called "_area" and "_radiance_t". How can I get subsurface() or ptfilter to read the data from channels with a different name? A: For the subsurface() function, the channel names can be specified with the "areachannel" and "radiancechannel" parameters. For ptfilter -ssdiffusion, use the command line options -areachannel and -radiancechannel. Q: The point-based subsurface scattering results look splotchy. What can I do? A: The point cloud file may be too sparse relative to the mean free path length of light in the material. As a rule of thumb, the max distance between points in the point cloud should be the mean free path. However, even in this challenging situation, smooth results can be obtained by setting the subsurface() function parameter "smooth" to 1, or use the ptfilter command line option -smooth 1. First of all, the illumination on the surface of the examples is purely direct illumination. It could just as well be high dynamic range illumination from an environment map or global illumination taking indirect illumination of the teapot into account. Second, the 3D texture is only evaluated on the surfaces. In order to improve the accuracy of light extinction inside the object the 3D texture should be evaluated inside the object, too. This requires evaluation of the 3D texture at many positions along each subsurface ray. [Jensen01] Henrik Wann Jensen, Stephen R. Marschner, Marc Levoy, and Pat Hanrahan. A Practical Model for Subsurface Light Transport. Proceedings of SIGGRAPH 2001, pages 511-518. [Jensen02] Henrik Wann Jensen and Juan Buhler. A Rapid Hierarchical Rendering Technique for Translucent Materials. Proceedings of SIGGRAPH 2002, pages 576-581. [Hery03] Christophe Hery. Implementing a Skin BSSRDF. In "RenderMan, Theory and Practice", SIGGRAPH 2003 Course Note #9, pages 73-88. Erin Tomson. Human Skin for "Finding Nemo". In "RenderMan, Theory and Practice," SIGGRAPH 2003 Course Note #9, page 90. Anders Langlands and Tom Mertens. Noise-Free BSSRDF Rendering On The Cheap. SIGGRAPH 2007 Poster. Eugene d'Eon and Geoffrey Irving. A Quantized-Diffusion Model for Rendering Translucent Materials. Proceedings of SIGGRAPH 2011, article 56. Information about PRMan's ray tracing functionality can be found in the application note "A Tour of Ray-Traced Shading in PRMan". More information about point clouds and brick maps can be found in application note "Baking 3D Textures: Point Clouds and Brick Maps". The source code of our implementation of subsurface scattering is listed as an example in Section 1.3 of "The Point Cloud File API".